Today Beachcomber Hot Tubs®, an industry-leading manufacturer of home spas, accessories and water care products, is proud to celebrate 40 years of global success in the hot tub industry. With an outstanding commitment towards technological innovation and customer care, Beachcomber has grown from a single supply centre into one of the most recognized names in the hot tub industry. At the age of only 30, while working in the swimming pool industry, Keith Scott saw an opportunity in the newly developing hot tub marketplace. He founded Beachcomber Hot Tubs® in Surrey, British Columbia, alongside his wife Judy, with a vision for creating a place for families to reconnect in an increasingly busy world. Anchored by a commitment towards quality, innovation in design and hydrotherapeutic performance, Keith pioneered a vacuum seal acrylic and four-wall interior insulation with the design of his patented Hybrid construction that moves the mechanics of the hot tub outside of the shell, and continues to define the energy-efficiency benchmarks Beachcomber sets in the industry. Throughout its 40-year history, Beachcomber has proudly remained focused on product integrity and customer service, with a commitment to quality in construction and a zero-defects approach that has resulted in a 98.4 percent owner referral rating and an average product lifespan that exceeds the industry average by up to 20 years. Today, Beachcomber Hot Tubs remains a fully family-owned operation with headquarters in Surrey, British Columbia, and distribution centres and retailers throughout North America, Europe, Asia and the U.K. Beyond their signature 700, 500 and 300 series lineup of luxury hot tubs, the business has expanded into a full range of revolutionary water care products, accessories and parts offered through retailers and a proprietary e-commerce solution to serve the after-market needs of owners worldwide. The company has also focused on giving back to the local communities that have driven their success, proudly supporting numerous charities and non-profit organizations including KidsPlay, BC Olympians and Special Olympians, and BC Children’s Hospital Foundation. 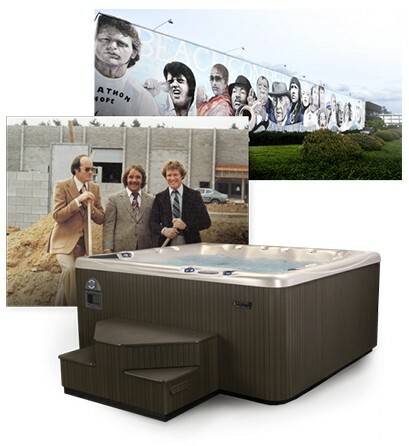 In celebration of the 40-year milestone, Beachcomber will be unveiling a 40th Anniversary collection of hot tubs, offered for a limited-time only in the coming months. The launch will coincide with the unveiling of a new website, educational portal and e-commerce solution for the brand that aims to streamline and elevate the hot tub ownership experience. Beachcomber Hot Tubs® is a family-owned, Canadian manufacturer of the absolute finest-quality, energy-efficient and longest-lasting hot tubs in the world. Founded by Keith and Judy Scott in 1978, Beachcomber remains a family operation, with headquarters in Surrey, British Columbia, and distribution centres throughout North America, Europe and the U.K. Devoted to improving the hot tub ownership experience through leadership in hydrotherapeutic innovation, performance quality and energy efficiency, Beachcomber Hot Tubs® manufactures their unique Hybrid and LEEP hot tub models along with proprietary accessories and water care products available through authorized distributors worldwide and online. For more information, please visit www.beachcomberhottubs.com.